Kia Optima Performance, Engine, Ride, Handling | What Car? 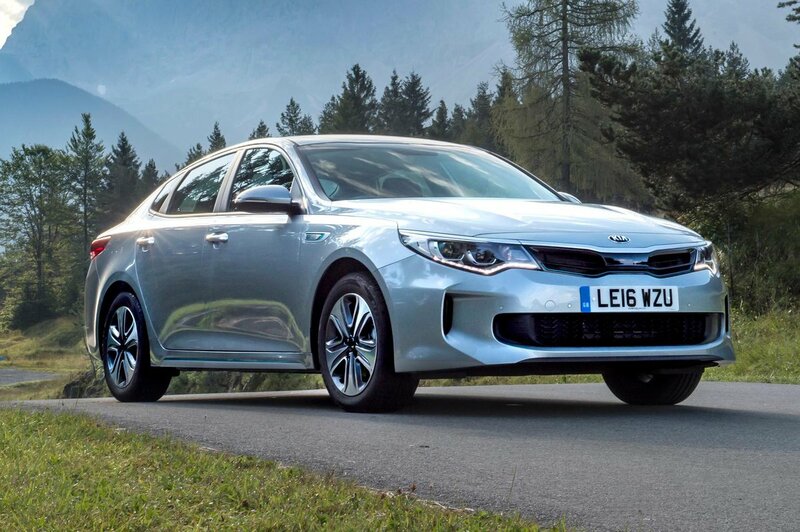 The Optima’s 1.7-litre engine is punchy from low revs, and its low-down pulling power means you don’t always need to change down a gear for a quick spurt of acceleration. Even in sixth gear, there’s enough usable power to maintain the ebb and flow of motorway traffic. 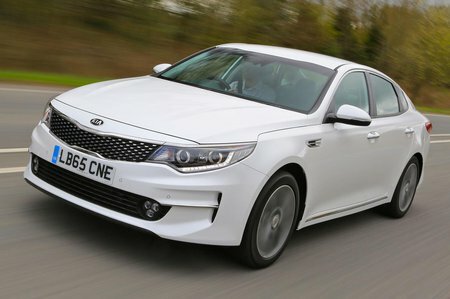 The PHEV model combines a 154bhp 2.0-litre petrol engine with a 67bhp electric motor to become the fastest Optima of the range. It can be plugged in and charged up rather than just relying on its engine, and with a full battery it can travel up to 33 miles on pure electric power. Unfortunately, even when you select Eco mode for pure electric power only, the engine will kick in promptly when a turn of speed is needed. The PHEV's performance is better than the diesel's, but it still feels pretty pedestrian, while the petrol engine booms and whines away under load as its six-speed gearbox holds onto each gear. Diesel engine noise is another issue: you never feel properly isolated from the outside world because there’s too much road noise and the engine can be quite gruff under acceleration. In addition, more engine vibration can be felt through the steering wheel, gearlever and pedals than in the majority of its rivals. The manual gearshift has a long throw, too, but it is at least light and fairly precise. The optional seven-speed auto isn’t the best of its type, either, and it pushes up CO2 emissions, so we'd advise against specifying this. The diesel handles confidently enough, with decent levels of grip, and body lean through corners is well contained. The steering is usefully light at low speeds, which is ideal when you’re parking, but it feels too vague at higher speeds. This doesn’t inspire confidence when the roads start to get twisty. The PHEV isn't quite as accomplished because its extra weight, less precise regenerative brakes and even more unnatural-feeling steering make for a fairly uninspiring drive along a winding B-road. All Optimas are also let down by their ride quality. It’s firmer than rivals like the Skoda Superb, and it doesn’t isolate you as well from bumps and broken surfaces around town. The ride improves the faster you go, though, so the Kia is at least a relatively settled motorway cruiser.